Most firefighters make good use of their shift schedule and during their off-duty time have a part-time job or hobby. Some are carpenters, plumbers, HVAC technicians, landscaping, driving limousines, DJ's and more. We recently became aware of a firefighter that has used his talents to develop an entertainment company and is about to embark on a big adventure. One of the original “Emergency Response Technicians" (ERT), Firefighter/Medic Tony Kittrell has had an almost 20-year career with the Prince George’s Fire/Emergency Medical Services (EMS) Department. Distinguishing himself over the years with his selfless service to the citizens of Prince George’s County, Tony has chosen to embark on another mission to give something back to the entire National Capital Region. When he is not serving the community, Tony has owned and managed an entertainment company for well over a decade. As the Owner and Publisher of "Advent Comics", he creates comic books and graphic novels. His line of books are sold on six continents in 45 countries and can be found on Amazon, Barnes and Noble, various other outlets across the country and on his website. It was this endeavor that caused him to want to bring a big San Diego Comic-Con type of event here to the East Coast. Universal Fan Con is that event. Created with a dedicated group, the fruits of their labor will be evident on April 27-29, 2018 when the Universal Fan Con lands at the Baltimore Convention Center. Universal Fan Con is the first large-scale, 24-hour, inclusive event that celebrates the diversity of fandom and the diversity of fans. When asked about this event, Tony describes it as “San Diego Comic–Con on steroids”. This event was created to include not just the comic book fans but everyone! “We sought to include those who are normally overlooked at these types of events and have made sure to have something of interest for Persons of Color, Women, the Disabled, LGBTQ Community and other marginalized groups within our area.” Anime, Comics, Cosplayers, Film, Gaming, Movies, Music and Television are the themes (called Fandoms) that are represented at Universal Fan Con. And with one look at the lineup assembled, it is clear there is no holding back with this star-studded event. Legendary actors such as Billy Dee Williams, Game of Thrones’ Kristian Nairn, the casts of top-rated shows like Starz American Gods and SyFy’s Killjoys and The Magicians will be in attendance. There will be live concerts and performances by artists such as Big Daddy Kane, Bit Brigade, Ducky Dynamo, The Triforce Quartet, a comedy show hosted by film/tv star Orlando Jones, 24-hour Arcade, eSports Tournaments, Fandom themed parties, Anime and Movie Screenings, Kid’s Programming and STEM Events are just some of the activities taking place during this show. 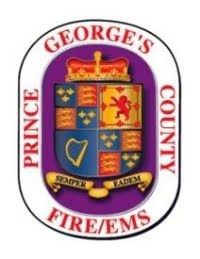 Public Safety Employees are invited to attend the weekend long show and can receive discounted tickets with a special PGFD discount code “ADVENTUFC10”. To get tickets and for more information, go to www.universalfancon.com.